Are you wondering what’s currently the best vape pen for cartridges? For us, the answer is pretty simple: A mod with a 510 connection. Vape batteries are becoming smaller, and they are lasting longer than before. 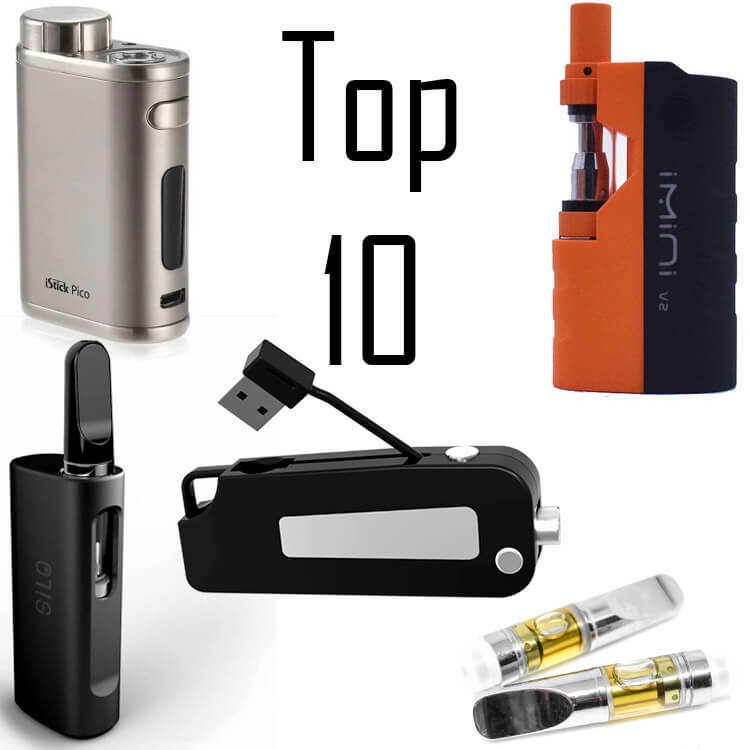 Use our list as a reference of the current best 510 connection vape batteries for vaping oil carts. 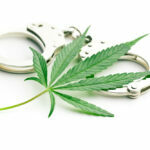 The increase in THC concentrates is happening simultaneously with the rise of legalization. Back in the day, you had to have a traditional ‘torch and nail’ rig or desktop vaporizer at home to vape cannabis oil. An all-in-one or glass dome pen setup was also efficient for concentrates on the go. While many devices on the market have been around for at least this period, the most significant improvement oil vape pens have made to their designs, would be the move away from all-in-one units. These units usually consisted of an internal battery with a heating tray to hold your concentrates and a removable mouthpiece at the top. In 2019 we see a significant amount of companies offering a wide variety of batteries designed for the modern oil cartridge user, with many different options to suit the needs of each user. 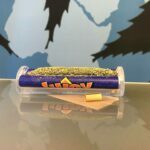 This list of Top 10 Best Vape Pen Batteries for THC Oil Cartridges has everything from long-lasting batteries for all day use, to discreet batteries that keep the identity of the product hidden. Let’s start our top 10 list! The Yocan UNI is a device ahead of its time, and that’s not a bad thing. UNI being short for universal. This device lives up to its name by offering features that provide the user with an ultimate customizable experience. UNI is the first of its kind to showcase an adjustable height and width in the device. This allows the individual user to accommodate a large selection of oil atomizers. Tailor it to give them the experience they desire. The variable voltage is indicated by the number of lights showing: One light is low, two lights are medium, three lights is high. UNI also offers a preheat setting to help prime those thicker concentrates. Another useful feature is the magnetic adapters for a seamless exchange between different cartridges. The micro USB charging port is located on the side to ensure your concentrates are stored uprightly. This compact vaporizer allows you to get the best performance out of your cartridges. The UNI comes in five different colors: Black, silver, black & silver, red, and blue and the price is $34.95. The magnetic 510 threads allow adaptability with many cartridge options and pre-heating for a variety of concentrates. The U-Key by Dazz Vape contains a 350mah battery that flips up with the push of a button. It offers variable voltages: 2.8v, 3.2v, 3.6v, and 4.0v for a wide range of power options. Single button activation makes it fast to access vape. While it does not include a cartridge with the purchase, it works flawlessly with CCELL cartridges. The U-Key is a 510 threaded device that will work with most oil cartridges. You can store the cartridge on the side of the U-Key. What makes this device stand out is that it works in both the upright and closed position. 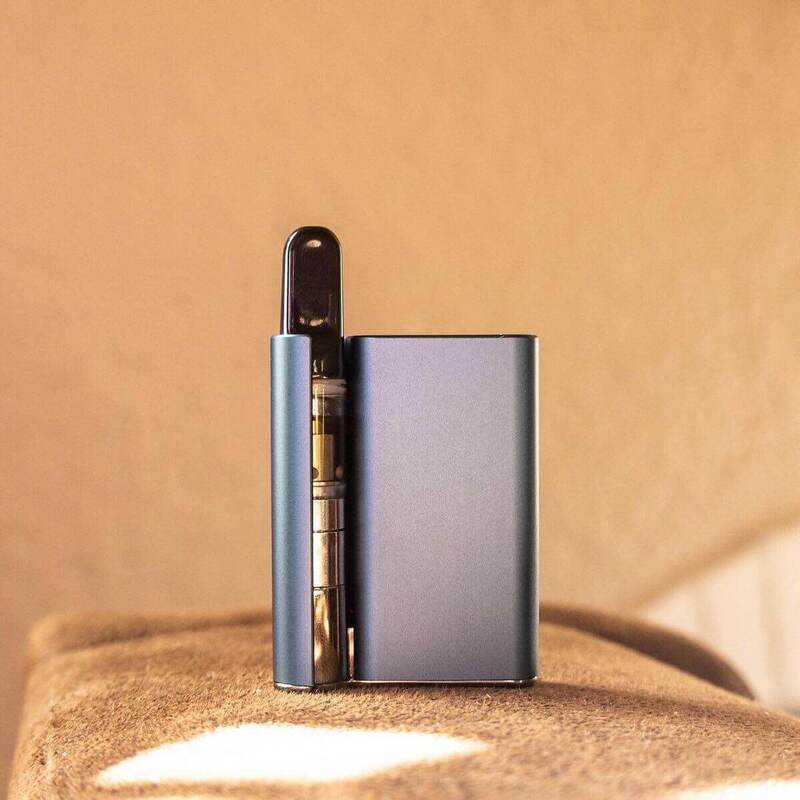 This allows the user to attach a cartridge that is larger in volume like 1.0ml carts, and still be able to vape comfortably without flipping the cartridge up every time you want to use it. It’s priced around $14.99 and comes in black, white, red, blue, and gray to match your style. For this price, the U-Key by Dazz Vape is an affordable device and it offers excellent options to fit everyone’s preferences. 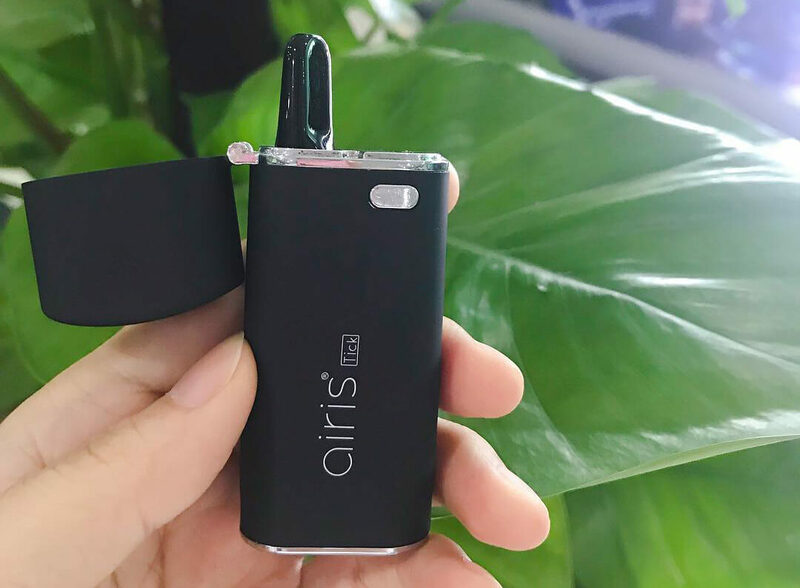 Airistech has created the ultimate cartridge vaporizer indiscretion, with the Airis Tick. This 650mah device is a variable voltage device that offers 3 voltage settings: 3.4v, 3.7v, and 4.0v. It features magnetic adapters to fit 510 threading and its 12mm cart hole will fit most oil atomizers. It has a micro USB charging port on the side of the device to make charging a breeze and it allows you to charge the vape while it’s in an upright position. This will help keep your oil at the bottom of the cartridge and ensure maximum performance. What’s unique about this vape is that it features a flip top cover that’s commonly seen in lighters. This allows the Airis Tick to look like a lighter, and conceal the entire vaporizer until it’s time to vape. You simply flip the lid open, and reveal the mouthpiece of whatever cartridge you’ve inserted, then press the power button to begin vaping! Priced at $29.99 the Airis Tick is an excellent choice for those of us looking for maximum discretion and performance. The Komodo C5 is an all-in-one vaporizer made by Snapdragon and has many great features at a very low price-point. This 400mah vape is made for use with CCell and Snapdragon brand cartridges and is full of features seen in more expensive model vapes. This includes variable voltages from 3.4v to 4.0v and allows the user to get a personalized performance. 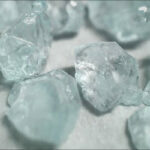 The pre-heat function for priming concentrates with a thicker consistency is a handy feature. This vape battery allows the use of 0.5ml and 1.0ml carts with magnetic adaptors to make changing cartridges a seamless process. 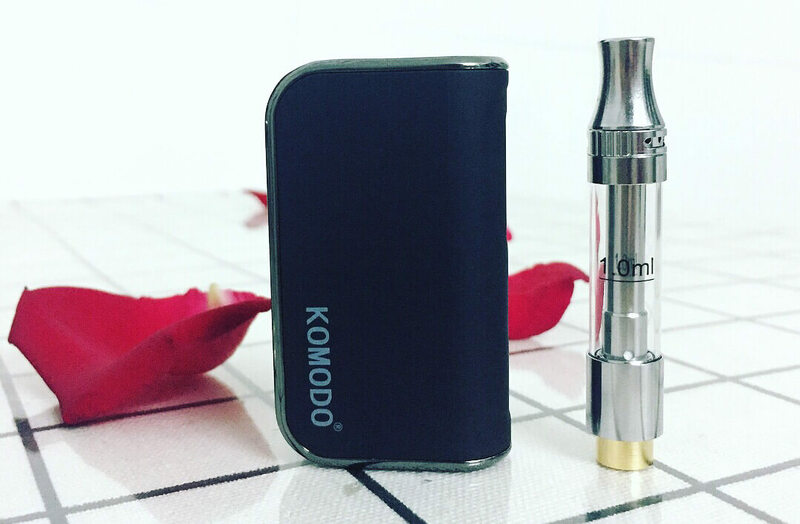 Komodo C5 is discreet, packed full of features and is USB rechargeable. Offered in red, blue, black, and white, you can purchase the Komodo C5 can for around $14.99. C-BOX 510 thread vape battery from Kandypens. 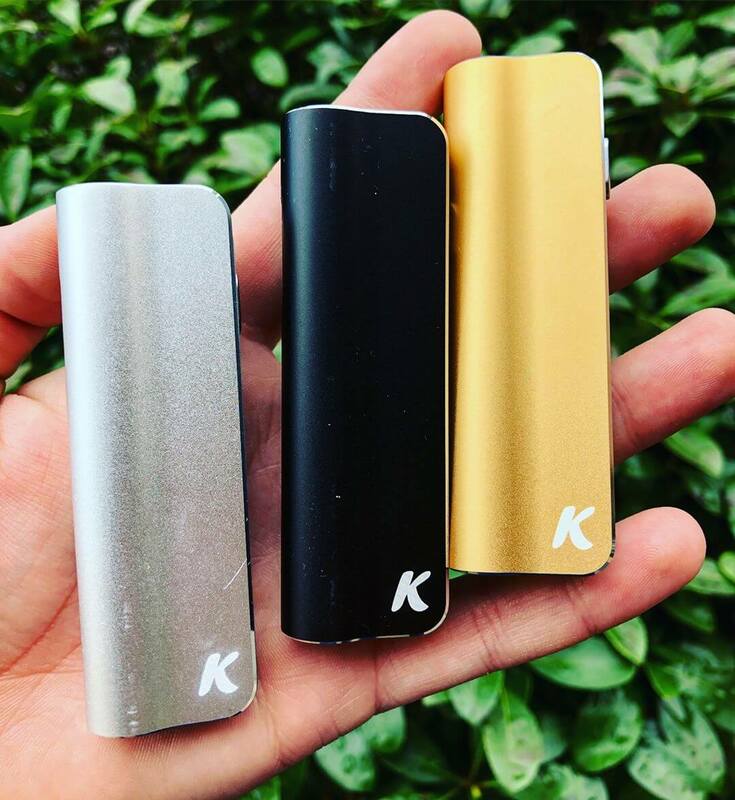 Kandypens new vape battery for oil cartridges is excellent at protecting your cart from drops. It is completely concealed from the mouthpiece down. Its slim and sleek design is only three inches tall in total and houses a 390mah battery inside. It features magnetic adapters for people looking to interchange their cartridges throughout the day and removes the hassle of having to screw & unscrew every time you want to change carts. In addition to all of these great features, the C-Box Pro is also variable voltage and color-coded, Blue is 3.4v, Green is 3.6v, Yellow is 3.8v, and Red is 4.0v. This makes it easy to adjust the temperature based on personal preference, and simple to keep track of by seeing what color is illuminated. It charges through a micro USB port and is the ultimate device in portability, as well as a discretionary use. At $49.95 the C-Box Pro is priced higher than a lot of other batteries, but it also has another model just called the C-Box, which is designed only for using standard cotton wicked cartridges at $44.95. The C-Box Pro is designed for CCell cartridges. This design is superior to the traditional cannabis oil vape pen because it protects the cartridge from damage. Another excellent battery from the creators of the CCell cartridge. The SILO by CCell is the cousin of PALM by CCell with a few minor changes to design and function that make all of the difference. Powered by a 500mah internal battery, SILO is a compact USB chargeable device with excellent features! It comes with 510 magnetic adapter rings that simply screw on to the threads of your oil cartridge and allows the cartridge to slide right into place. This connection skips having to need to unscrew the cart itself. This feature keeps the cartridge secured in place, and makes it ideal for clumsy users. SILO comes with two adapters at purchase but you can purchase more from their website so that you can change between cartridges with ease. You pull one cartridge out, and pop another in its place! CCell advertises on their website that SILO can last for up to a week following a full charge cycle, and under normal averaged usage. It is made to be paired with CCell oil cartridges but with its universal 510 threading, it is capable of performing with standard cotton wicked carts as well. The technology inside is self-adapting to ensure it provides the best experience possible, monitoring temperature and maximizing vapor production. 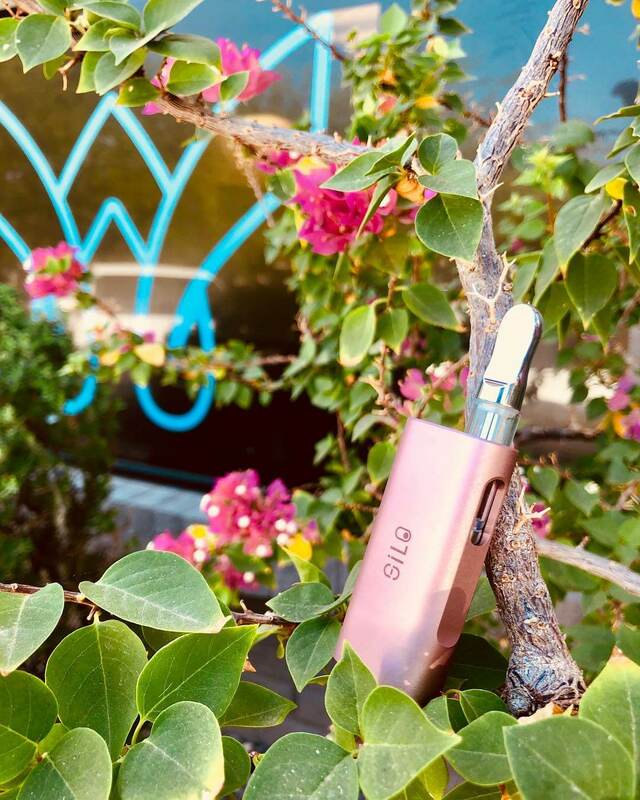 SILO is inhale activated and houses your cartridge internally to ensure a triple threat of convenience, portability, and performance for every user. Priced at about $25 online, SILO comes in Black, Gray, and Blue color options and is backed by the quality you expect from CCell. It’s simple, great for people who use multiple carts throughout their day and hits the bullseye for price-point. A great battery for anyone and everyone! Imini is a great small vape battery. The mini has earned the right to be called one of the best vape pens for oil cartridges. The iMini by Plutotech is a device designed with THC concentrates in mind. It features a compact 500mah battery that fits entirely in the palm of your hand. The micro USB charging port is excellent for those who have this cable around because of their phone. Most importantly the Mini vaporizer has a “pre-heat” option for oil enthusiasts looking to vape concentrates with a thicker consistency. You just press the power button on the iMini one time and wait 10 seconds to help pre-heat your concentrates and avoid issues that result because of thick consistencies. 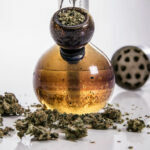 This means that the possibilities are virtually endless for people wanting to vape a variety of concentrates, but have had to stick with a dab rig or more mediocre vape pen to do so. iMini comes in Red, White, and Blue colors and is priced very reasonably at around $34.95. It houses CCell cartridges inside the battery to improve discretion and increase portability. This is the perfect battery for vapers looking to get into oil cartridges but have been turned off by the fact that they cannot use all of the great concentrates they have available already. 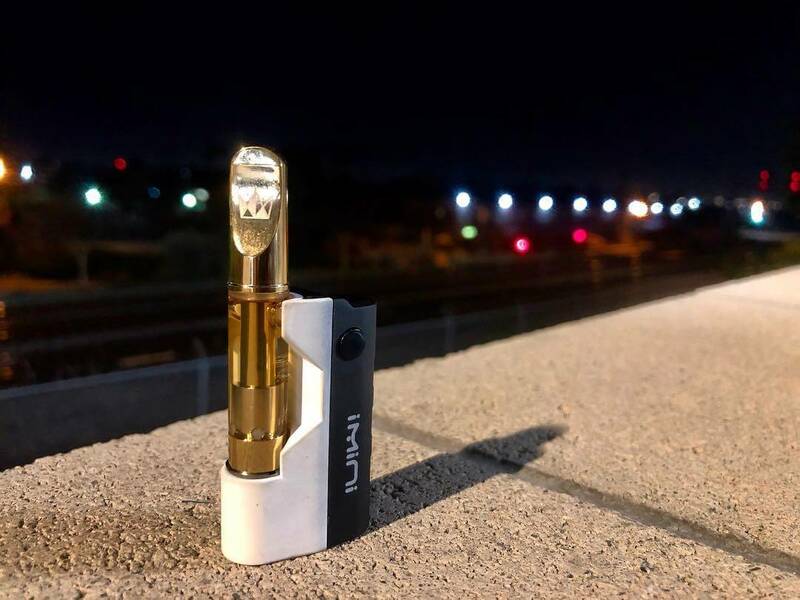 iMini is capable of using any 510 threaded cartridge that fits inside of the battery, but we recommend that you only use CCell carts as those are what the iMini is designed for. Overall this is a great battery to have in your arsenal for the perfect mixture of portability and oil choice. Flip Vape Battery from O2Vape. This 510 vape battery can also be found rebranded as Cobra extracts, Flav Rx, and others. The company O2Vape makes this variable voltage battery. The design is made to look like the key fob to a car. It features a keyring hole on the corner to attach to your key ring. It houses the CCell cartridge in the side of the battery for on-the-go users. When you’re ready to use the Flip, you just press the button located on the front of the device and your cartridge springs out & up like a switchblade, ready to be used at your convenience. When you’re done, fold it back into the side of the battery and continue with your day! Flip also features a cool built-in USB charger that plugs into your computer or approved adapter, eliminating the need to carry around or find a USB cable every time you need to charge your vape. 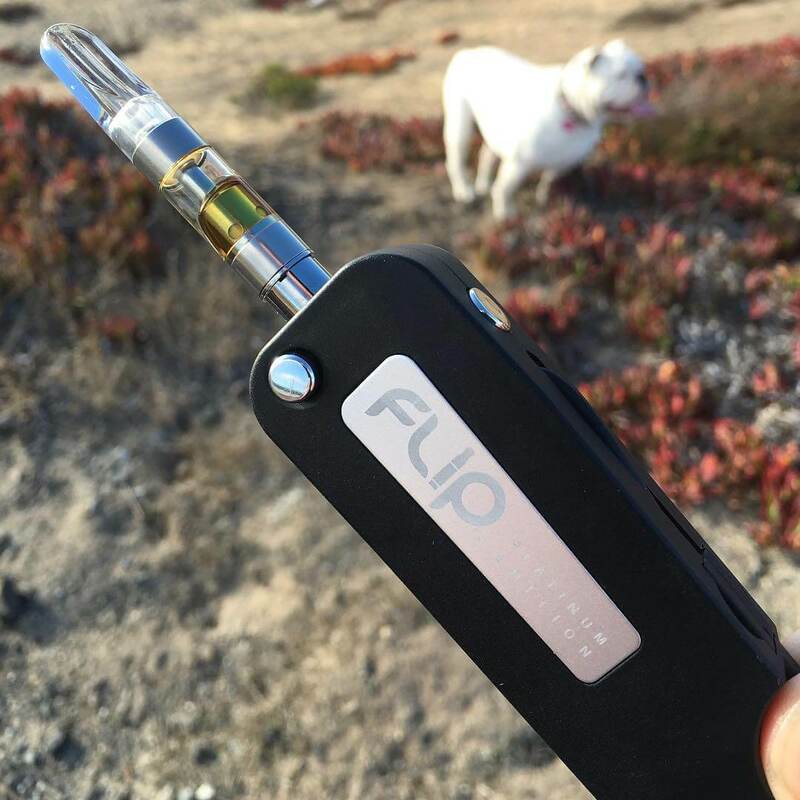 Flip comes with a CCell cartridge ready for filling when you purchase it. It also is compatible with other 510 threading cartridges. The trick here is that most CCell cartridges will fit in the side of the battery but not all cotton wicked carts do. That means you have to unscrew the cartridge before you take it on-the-go or the cart will be sticking up in the ON position, and you risk the button firing accidentally as well as you lose the portability Flip offers in this battery. Priced higher than most oil cart batteries, Flip can be purchased for around $54.95 online. Keep in mind that it does come with an empty CCell cartridge though, and you are also paying for convenience with the built-in charger and portability that Flip offers. Official ccell vape battery, optimize for CCELL cartridges! One of our favorite best 510 thread battery that we use daily. The palm is created by the creators of the CCell oil cartridge. This is a very durable battery that’s well designed to keep your CCell cartridge safe from drops. The battery and the CCell cartridge work perfectly together and provide the best hitting vape on our list; they are made for each other. Palm is also great for discretionary use, as it’s small enough to fit in the “palm” of your hand and is inhale activated. Therefore you don’t need any buttons! It contains an internal 500mah battery that charges with micro USB. This vape battery keeps your CCell cartridge housed internally as well. 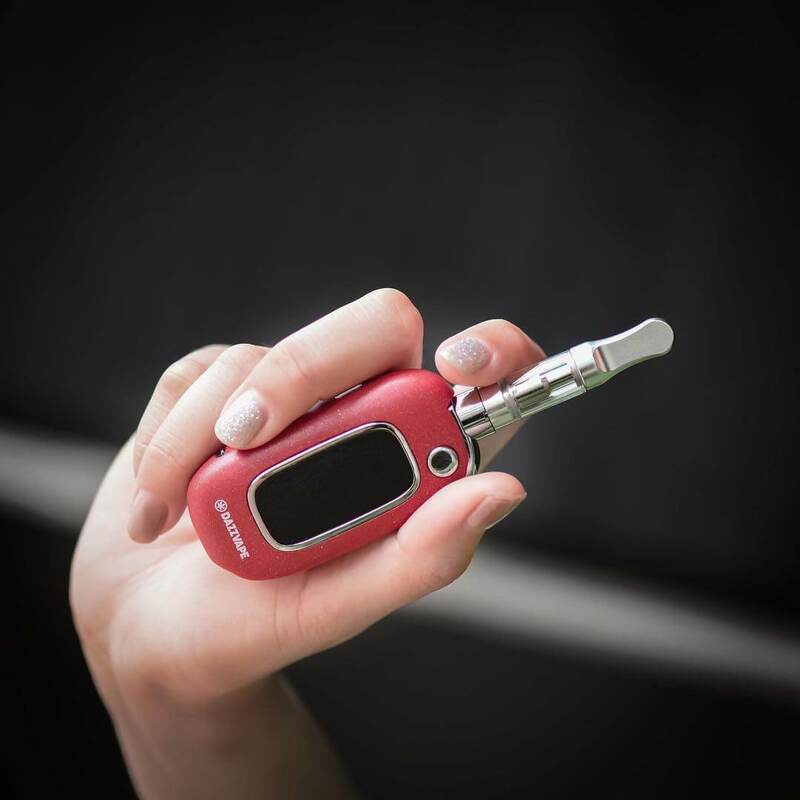 The mouthpiece is the only thing visible when you’re vaping with the Palm, and it avoids having a cartridge stick out from the top as you might see in traditional stick style batteries, making it easy to use and more comfortable to carry around. It comes in Black, Gray, Blue, and Light Pink and currently costs about $23. 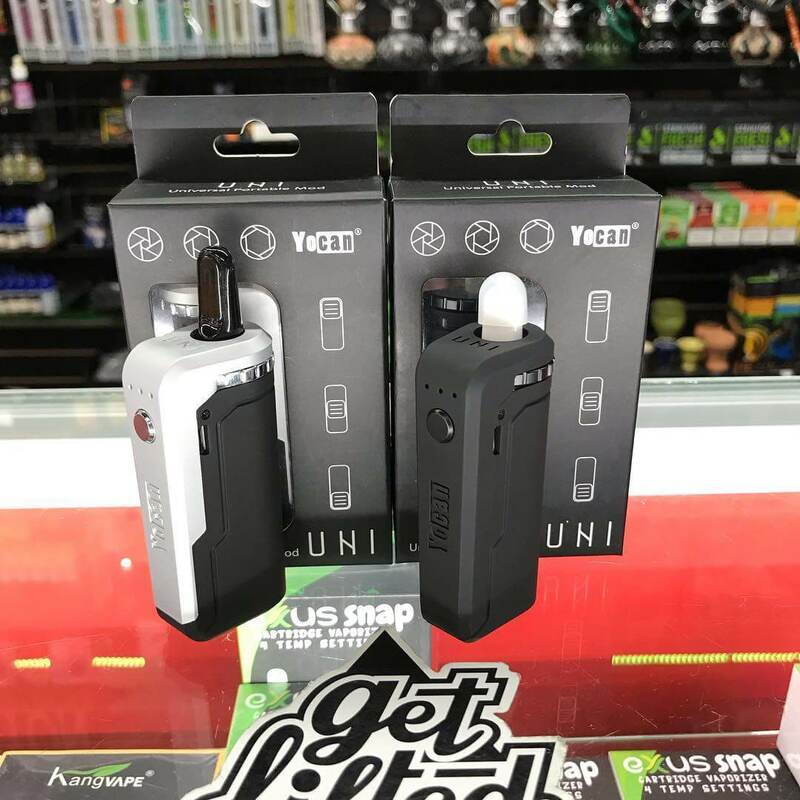 This device is an excellent choice for anyone looking a very portable, very affordable CCell battery that delivers amazing hits every time, and comes with the quality you can expect from CCell. Istick pico 21700 with a THC cartridge from Cobra Extracts. This device is made with the all-day vaper in mind. It offers the longest battery life on our list and is also the most versatile mod on our list. Made for e-liquid vape, but better for 510 threaded CCell cartridges. It houses a standard 18650 sized 3000mah battery made for all day vaping. Also, it offers variable voltage and wattage, from 0-75watts to dial in the correct power you need for your vaping activity. Eleaf is an established player in the vape industry and has made dozens of products over the years for people in the vaping community. The iStick Pico is just another example of how Eleaf stays ahead of the game. 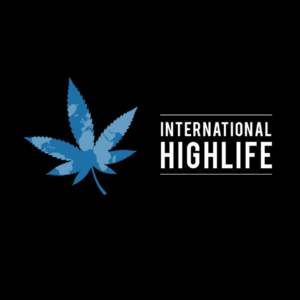 They offer a device that can handle traditional sub-ohm tanks as well as Ccell carts for THC oils. This is a lovely option for anyone who uses a sub-ohm tank with e-liquids because it eliminates the need to purchase 2 separate devices for vaping. The iStick Pico can be picked up for around $39.95 online. It comes in 5 colors: Black/Silver, Black/Orange, White/Orange, Gray/Silver, and Pink/Silver. While the battery housed is 3000mah, it’s important to note that the battery is not included with the device, and you will have to purchase it separately. The iStick Pico does feature a USB charging port, so you do not need an external battery dock, but you will need to purchase a battery separately to get started. Which vape battery on our list is your favorite? We want to know what our readers are using to vape their 510 connection prefilled cartridges. The current best vape battery for oil cartridges may not be the same tomorrow. Ensure to check back as we update our list throughout the year as new superior devices become available. We hope this helps you make an educated choice for yourself based on your personal needs. Our goal was to provide insight into the best choices of vape batteries for oil cartridges. Tried a vaporizer for oil cartridges that we did not include? Share which you believe is the best vape battery for oil cartridges.